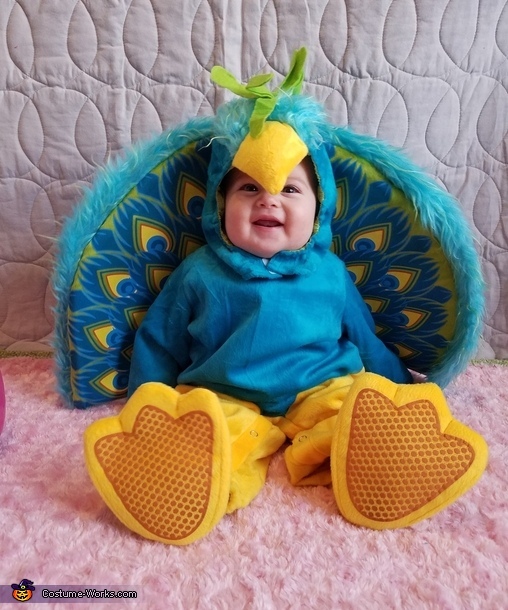 This store bought costume for babies entered our 2018 Halloween Costume Contest. This is my 8 month old little girl! She is the most beautiful peacock I've ever seen!